We're almost done with July. To some, that's a sad statement. Soon it will be time to put away the shorts, stow the beach gear, and give up on fruity drinks. The children will go back to school while the adults merely tick off one more summer gone by. But lament the onslaught of fall all you want: If you play games, you know the fair season is by far the best time of the year—new release after new release, and enough news to drown in. Oh, I can't wait. Until then we have light-hearted summer news to deal with: Ubisoft wants you to play Far Cry 4 on Mount Everest, and The Last of Us is now a stage musical. But there are also more substantial tidbits worked into this installment of Missing Pieces—your weekly wrap-up of must-know gaming news. Tired of playing video games from the comfort of your desk like some sort of plebe? At San Diego Comic-Con this week, Ubisoft announced that one person will win the chance to play Far Cry 4 while hiking Mount Everest, using an unspecified piece of portable gaming hardware "built to withstand the harsh conditions in the Himalayas." Thanks, Destructoid, for this bit of lunacy. Despite Microsoft's recent announcement that sales of the Xbox One "more than doubled" in June (following the removal of the Kinect hardware and subsequent price drop), the overall quarter of April-June was lackluster: Only a combined 1.1 million Xbox One and Xbox 360 units were sold through to retailers. Remember how Star Wars: The Old Republic was absolutely not the Knights of the Old Republic sequel we all really wanted, even though it was a kinda-sorta-competent MMORPG? Well, Obsidian's Josh Sawyer told IGN this week that "I think there are a lot of the people at the studio that would like to do Knights of the Old Republic 3." I feel as if a million voices just cried out in excitement. Speaking of improbable resurrections, Naughty Dog community strategist Arne Meyer told IGN that a new Crash Bandicoot is "never off the table." Personally, I'd prefer a sequel to Crash Team Racing. And speaking of Naughty Dog, scenes from the studio's acclaimed game The Last of Us will receive the Broadway treatment next week prior to its release on PS4. For one night only, actors Troy Baker (Joel), Ashley Johnson (Ellie), and others will perform select scenes onstage in Santa Monica, accompanied by a live performance of the game's score (composed by Gustavo Santaolalla). Last of Us co-director Neil Druckmann is directing the stage show. The event starts Monday, July 28 at 7PM PST, and you can stream it through Twitch and YouTube. Elite: Dangerous already looks gorgeous, but that's not enough for Frontier studio head David Braben. Speaking to Eurogamer, Braben outlined how the team wants to future-proof Elite: Dangerous by adding in graphical effects that are impractical on modern machines. "Even if your PC of today can't run with all the features on, your PC of tomorrow might," said Braben. The game is currently in premium beta, but it enters a wider beta on July 29. There are rumors of something happening with BioShock despite the abrupt death of Irrational Games, the series' developer. A pair of cryptic Tweets came out of 2K this week, prompting speculation about something in the works. While the truly optimistic hope for a new game, the safer bet is probably on an Xbox One/PlayStation 4 re-release. 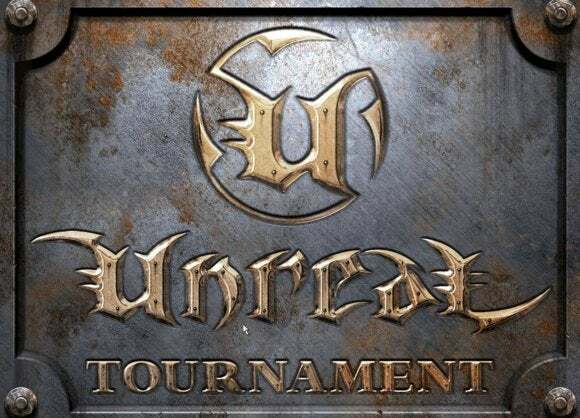 In case you forgot, Epic is livestreaming development of the new Unreal Tournament. This week, art director Chris Perna showed off bits of a work-in-progress level, giving us a tour of a sci-fi setting that seems to draw heavily on 2001: A Space Odyssey and Moon—clean, gleaming white with splashes of color. It's definitely interesting—and not the look I expected to see from a new Unreal Tournament game. The previews start around the 1:30 mark. Now for the news we covered in stand-alone articles this week: EA delayed both Battlefield Hardline and Dragon Age: Inquisition, Super Smash Flash 2 rolled out multiplayer, details and screenshots came out about Valve's canceled 1996 project Prospero, and GOG.com jumped into Linux gaming. But there was meatier games new to be had, too. I conducted another silly-long interview with Obsidian's Josh Sawyer about Pillars of Eternity, the Shadowgate remake looks to rekindle your nostalgia, and Cliff Bleszinski discussed BlueStreak with us. We also got hands-on time with a virtual reality-enabled gun controller known as the Trinity Magnum and Nvidia's new Shield tablet. Next time on Missing Pieces: It's August! One small step (toward autumn) for man. One giant leap (toward autumn) for the games industry.